Do You Need To Inspect Your Brand New Home? The title of this blog presents a good question: Do you really need to inspect brand new homes? Maybe you are about to move into your newly constructed home and this is something you’re wondering about. There are good reasons for thinking its not necessary, you may feel that seeing as no one has ever lived in it before and the fact that its brand new would mean that there couldn’t be anything wrong with it yet. This is not the best reasoning though. Why do we say that? Well, problems can start with a brand-new home even before construction has been completed on it. While some of these problems might not manifest themselves at first, its good to know about them as soon as possible. Are there any other reasons why inspecting new construction is a good idea? Yes, there are. The following video will help you with some more of those reasons and give you even more of an idea of why new construction home inspections are so important. If you would like more information on this subject or if you have any other home inspection questions, please feel free to contact us. https://d3bfc4j9p6ef23.cloudfront.net/wp-content/uploads/sites/62/2018/11/15180151/TopChoiceHomeInspections-logo-web1.png 186 205 topchoice https://d3bfc4j9p6ef23.cloudfront.net/wp-content/uploads/sites/62/2018/11/15180151/TopChoiceHomeInspections-logo-web1.png topchoice2018-07-30 11:35:542018-11-29 23:16:41Do You Need To Inspect Your Brand New Home? Is It Right To Blame The Home Inspector? 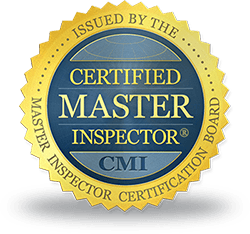 Again, Top Choice Home Inspections provides a Board Certified Home Inspector for Home Inspection Services. In addition, Radon Testing, Mold Inspectations and WDI Inspections throughout Northeast Ohio. Of course this includes Alliance, Akron, Canton, Carrollton, Canal Fulton, and Dalton. Also Dover, Hartville, Lisbon, Louisville, Massillon, Minerva, New Philadelphia, as well as North Canton, Ravenna, Salem, and Uniontown. In addition serving Wayne County, Summit County, Stark county, Portage County, Carroll County, Mahoning County, & Columbiana County.